Do you have your own idea? Now’s your chance to have some input in the how the Art Center’s facade can look. Join the Facade Design Committee: Open to anyone with an interest in the future face of the building. Maybe you don’t have a complete proposal, but have ideas to add to the proposals of others. Maybe you have strong feelings about paint color. This group will review the proposals submitted, and serve as a forum to weed through and develop the ideas that come forward. Anyone submitting a proposal is strongly encouraged to join. The deadline for submitting ideas had been extended to May 31, 2018. At that time, a Facade Committee will review the submissions and present the finalists to the Board of Directors for a vote on the winning design. Your design should be for the front of our building and the yard entry side of the building. It can include, graphics, structures, awnings, banners – anything that would give the Art Center a great new look. 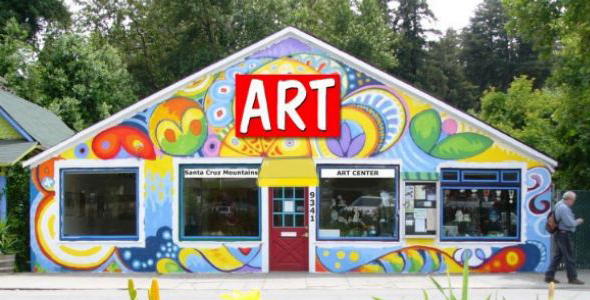 • Via email to info@mountainartcenter.org. Please include “Facade Design” in your subject line. We’re looking forward to seeing your ideas and designs!